Natooke has a range of bicycles available for rent for riding about the city and beautiful countryside of Beijing. 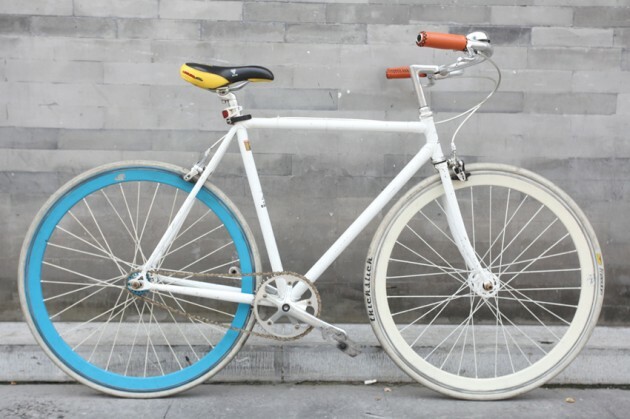 These are single speed and fixed gear bikes in a range of different styles and comfort levels depending on what you are used to. All our rentals (and any bike we sell have to) have brakes so you can rest easy! *Please consult the Natooke team if longer rental services are required, so we are able to help you! 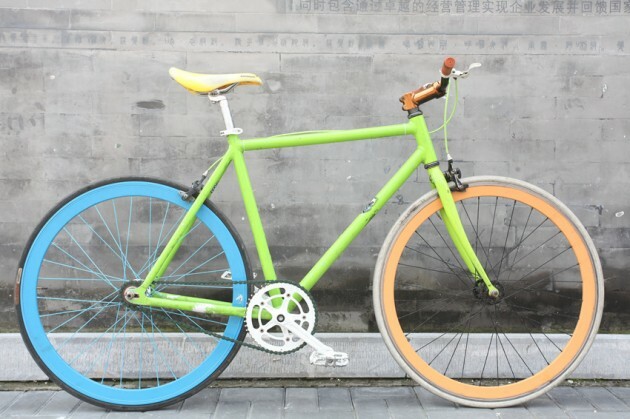 This beautiful green, orange and blue bike, is an aluminium urban framed bike suitable for anyone: if you enjoy relaxing and easy ride or even for all of you, dear riders, who is more expert and swashbuckler… Let’s say that Scarlett is suitable for any kind of occasion! This aluminium track frame bike, with its distinctive horizontal top tube is mainly designed for males but don’t fear all you females out there, you would look great on this one too! 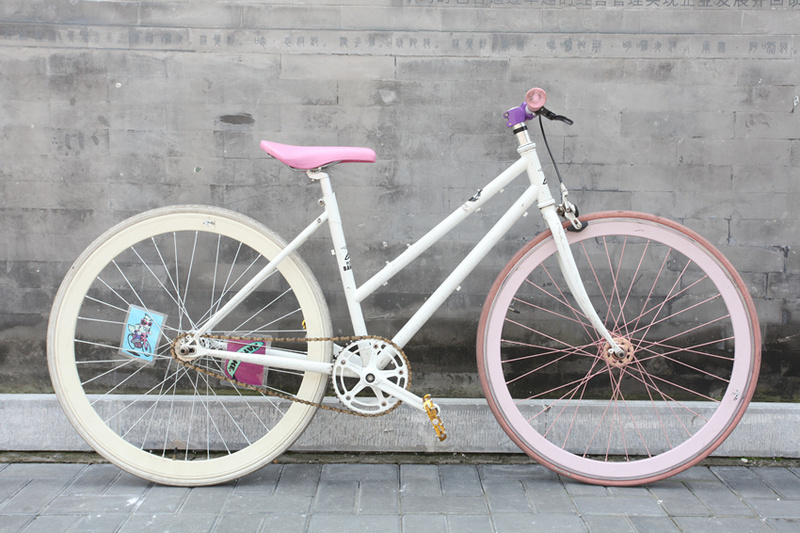 Moreover if you are not that tall this is the right bike for you!! 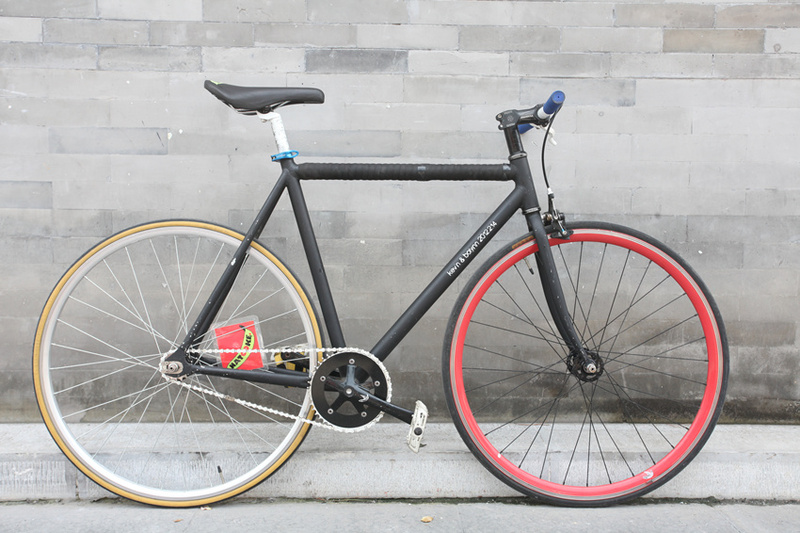 This classy steel Columbus bicycle is characterized by its lugged track frame style that make it perfect for all you riders lovers of quick turns and audacious ride. Don’t hesitate brave hearts this is definitely the right choice for you!!! This pretty in pink bike, is comprised of a steel females frame as it does not have a horizontal top tube, making this one more comfortable for all you ladies out there looking to ride a fixed gear bike! But males you are also more than welcome too! 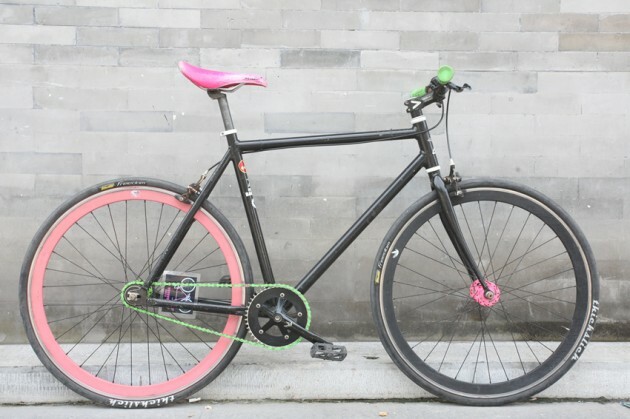 This striking black and pink bike is an aluminum cog framed bike, it can be fixed geared or it can easily be swapped to free wheel for your convenience. This bike also has two breaks installed. Good for if you want to give bike polo a go too!